The health and wellbeing of your staff has a huge impact on your business – financially and reputationally. Detect early signs of chronic illness, stress and health issues in your business. Get ahead of the issues and take control today. We have a background in corporate consulting, leadership and social care. We understand the relationship between people and business needs. Your business needs to function, and you have a responsibility to your staff wellbeing. As well as business leadership, we’re experienced nutritionists. But credentials aside, we’re people too. 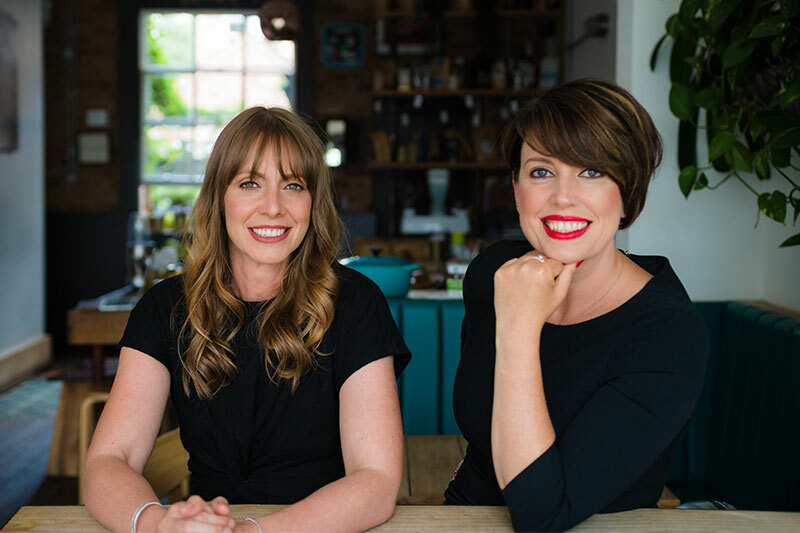 So we cut out the jargon, demystify dietary needs, and look at effective, straightforward and simple strategies that you can implement – and that your staff will want to buy in to. Reduce absenteeism and presenteeism. Detect early signs of chronic illness, stress and health issues in your business. Get ahead of the issues and take control today. The health and wellbeing of your staff has a huge impact on your business – financially and reputationally. When one member of staff is absent, the cost is not only financial. Workloads must be picked up by team mates, causing additional stress, reduced productivity and lower morale. Continued staff absenteeism can have wide reaching impacts on a whole team. Presenteeism can be more subtle, but the impact can be just as high. A staff member who is present but not performing means missed deadlines, poor performance and a ripple effect onto teammates and clients. Low mood and negativity can seem contagious, particularly spreading from manager down the line. What causes long term absenteeism or presenteeism? Stress, anxiety, low mood, poor health, menopause, obesity – whether it’s physical or mental, each one impacts on our work performance. A visible and active wellbeing strategy can have a huge difference, and not just on individual health. Staff feel valued and morale improves. Stress reduces, productivity increases. Everyone benefits. If you are committed to your team, we’ll be committed to helping your build a healthier, happier workplace. There are three factors in developing a corporate wellbeing strategy that’s effective. We can make your workforce healthier and happier. The question is not what we can offer, but what does your workforce and business need? Long term projects and product launches require consistency and an evidence based input to ensure credibility. We have the commercial flair that is creative, supportive and ready to be integrated into your company vision. We work with wellness retreats, educational projects, healthcare specialists, food and beverage manufacturers, hospitality providers, restaurants, cafes and bars either UK based or abroad. Contact us to discuss your project or product launch and how we can help. Discretion and confidentiality is at the forefront of Meraki’s vision and values. We work with high profile clients internationally, and provide ongoing support to those with busy unpredictable lifestyles ensuring a balance of work and play is maintained and supported. We travel where you need us to travel, and understand the challenges alongside a fast moving, high pressured career. Contact us to discuss how you or your clients could be supported by Meraki Nutrition.